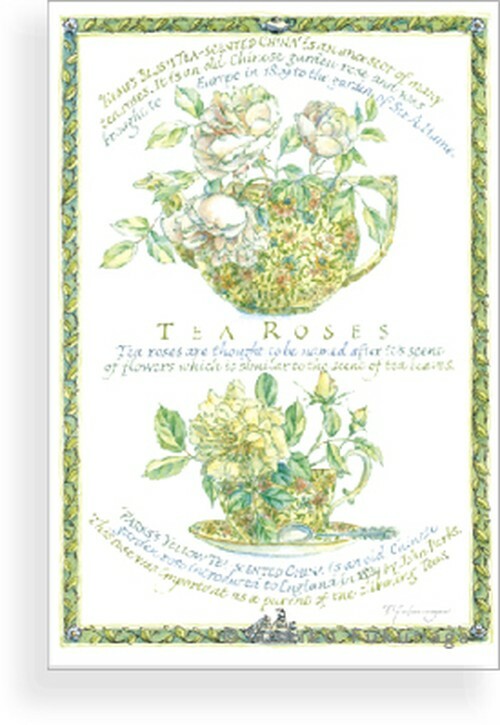 `Hume's Blush Tea-scented China`is an ancestor of many tea roses. It is an old Chinese garden rose and was brought to Europe in 1809 to the garden of Sir A. Hume. 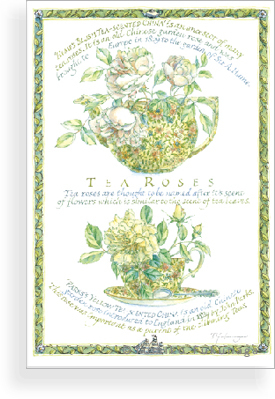 Tea roses are thought to be named it`s sent of flowers which is similar to the scent of tea leaves. `Parks's Yellow Tea-scented China` is an old Chinese garden rose introduced to England in 1824 by John Parks. This rose was important as parent of the clibming Teas.